I remember that I was a teenager when Back To The Future came out in the theaters. In the sequel whereMichael J. Fox goes to the future I was one of many who saw him use the hoverboard and wished that I had one of my own, too. 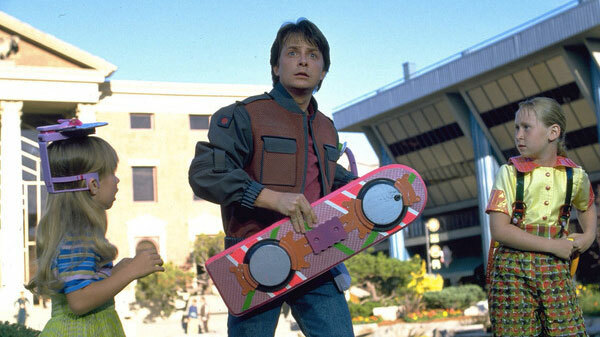 It is 2016, one year past when the movie was supposed to be set and the hoverboard is here! It isn’t quite the same as what they predicted in the movie — it is not controlled by electromagnetism, it does not actually float but, to a certain extent it does give the feeling of hovering, of levitating. Superman, Magneto, Thor … growing up I’ve speculated on what super-power I would want to have if I could have one and levitation or flight was definitely somewhere on the top of the list. After all, who wouldn’t want the ability to glide effortlessly across the room. Guess what? To a certain extent we can do that now! It’s not the same as in the movie but the feeling is close enough. CD-R King your one-stop media provider once again spices up an extraordinary treat, iRover. A high-tech yet affordable gadget in-line with CD-R King’s effort to bring technology to the general public. iRover lets you experience superiority in balance. It makes you gain control and progress at your own pace liberating your feet off the ground. An exhilarating thrill that makes one experience the same. In the recently concluded Pinoy Big Brother, CD-R King provided the hoverboards used by the 11 housemates in one of their weekly tasks. The iRover is the newest hovercraft unit released by CD-R King, designed not just for comfort but also for health. The iRover tones the leg and foot muscles. It uses the smart balance technology that uses leg muscles to move around thus strengthening the lower body. CD-R King makes it easier for you to acquire this gadget through a 6-month installment via credit card. Customers that use East West Bank and Metrobank credit card for their purchase get the additional feature of a 3-month warranty. Visit a CD-R King near you. For more details, visit the CD-R King website at www.cdrking.com. ← Who is your favorite Doctor Who?